General Armadillo Information - When drought conditions arrive on the scene, so do armadillos. The armadillo is a nocturnal creature that feeds on insects, earthworms, grubs and other subterranean delicacies that it finds on the menu. 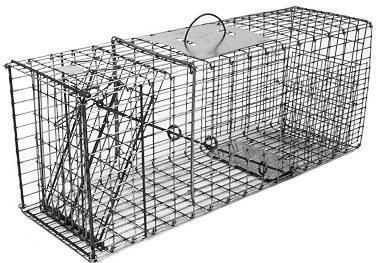 The armadillo prefers dense, shady cover such as brush, woodlands, forests, and areas adjacent to creeks and rivers. Soil texture is also a factor in the animal's habitat selection. It prefers sandy or loam soils that are loose and porous. 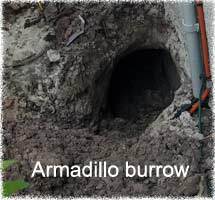 The armadillo will also inhabit areas having cracks, crevices, and rocks that are suitable for burrows. Most armadillo damage occurs as a result of their rooting in lawns, golf courses, vegetable gardens, and flower beds. Characteristic signs of armadillo activity are shallow holes, 1 to 3 inches deep and 3 to 5 inches wide, which are dug in search of food. They also uproot flowers and other ornamental plants. Some damage has been caused by their burrowing under foundations, driveways, and other structures. Some people complain that armadillos keep them awake at night by rubbing their shells against their houses or other structures. 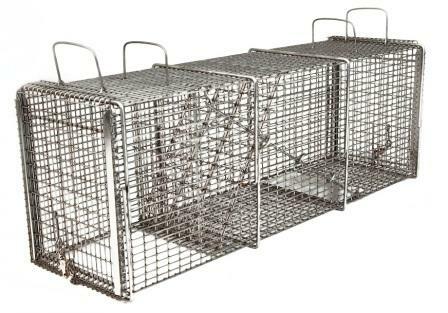 You will want to begin by removing the armadillos that are creating lawn and landscape damage. 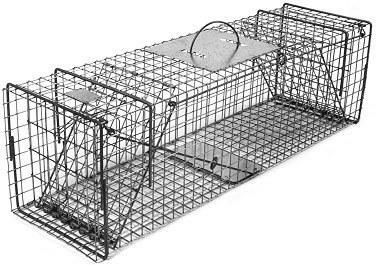 Armadillos can damage a large area overnight and will continue to feed in the area until the source of food is depleted. 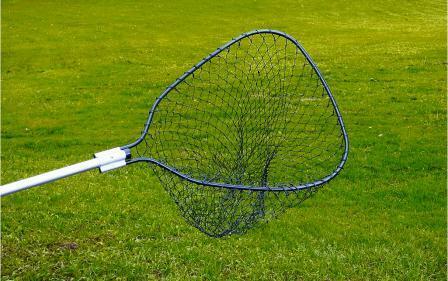 Dry weather and wet flower beds all add up for armadillo attacks and destruction in the suburbs. 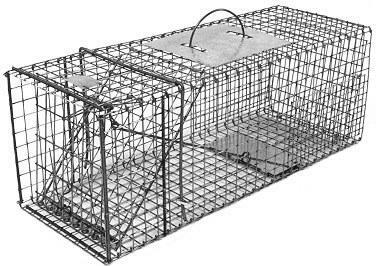 How to Trap an Armadillo - Many subtleties go into armadillo trapping - the path of the animal, what direction it will be traveling, and most of all, its behavior and reaction to a trap. 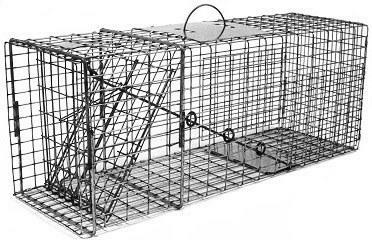 The right sized trap must be used - preferably a large cage trap at least 12 x 10 x 30, meant for raccoons and other large animals. 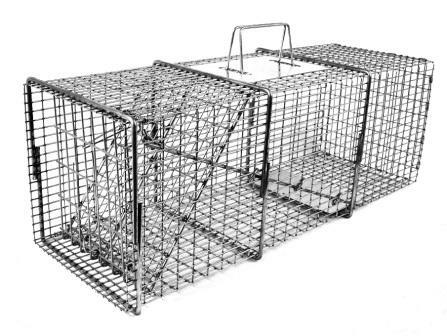 Armadillos can be very tough, so the trap must be sturdy. 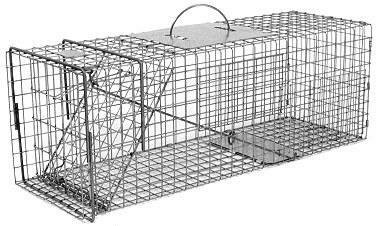 As stated, the armadillo will not enter a trap for any kind of food. 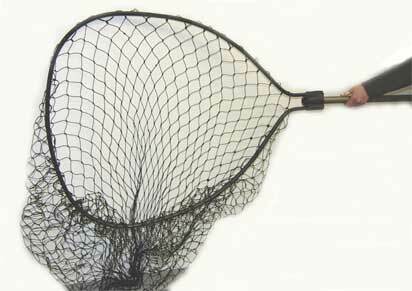 Don't listen to lame advice on baits - rotting bananas, cabbage, nylon stockings filled with earthworms, these are all completely ineffective. As usual, if you don't believe me, give them a try and see how they fail. 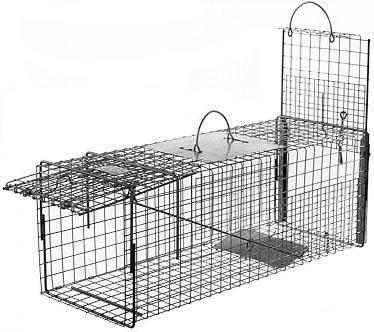 In fact, if you do bait the trap, you're likely to lure in a non-target animal such as an opossum or a raccoon. 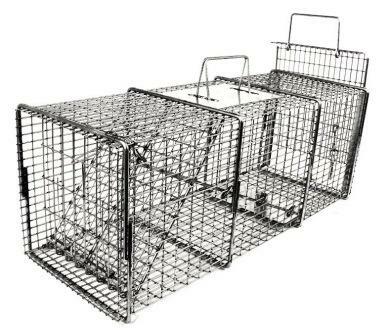 No bait is ever necessary for trapping armadillos. 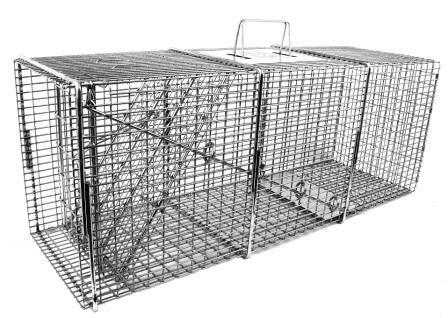 All you have to do is force the animal to walk into the trap. First, find out where it will be walking - along edges, near its burrow. 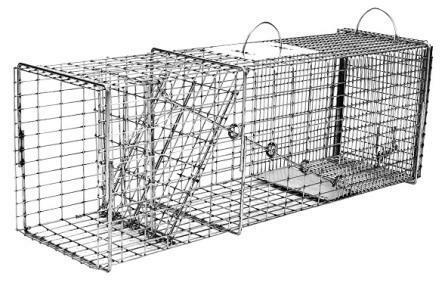 Then set the trap along that path, and use directional barriers - planks of wood, fences, concrete blocks, that will effectively funnel the poor-sighted dim-witted armadillo into the trap. 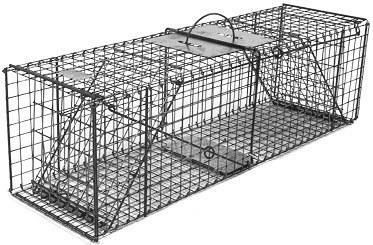 If the trap is sturdy and inviting with nice dirt lining the bottom, the armadillo will simply walk in, and you have him!